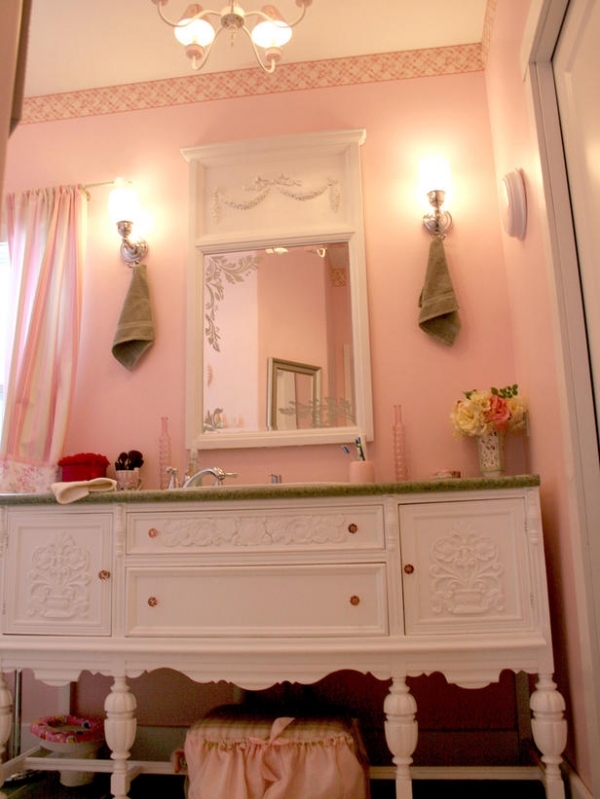 Bathrooms do not have to be full of whites and neutrals. 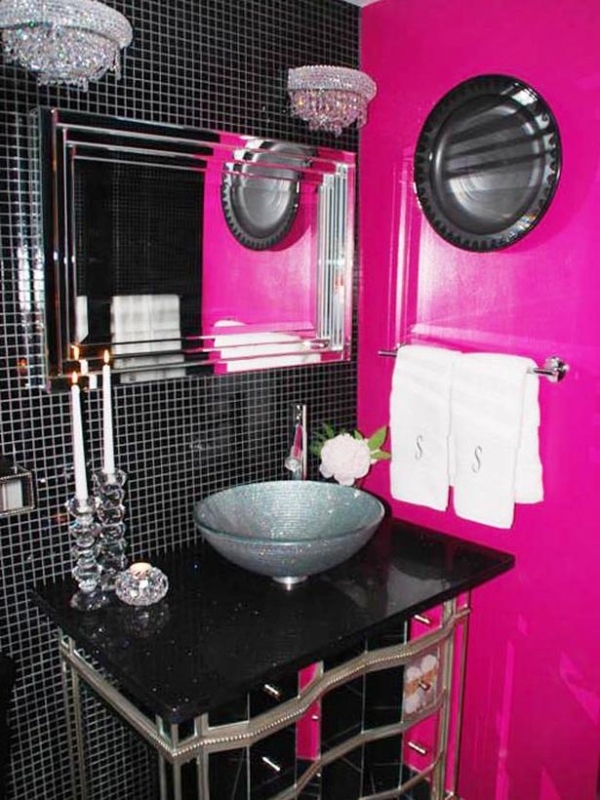 Colorful bathrooms can be exciting and interesting, and they can add some vivaciousness to your home decor. 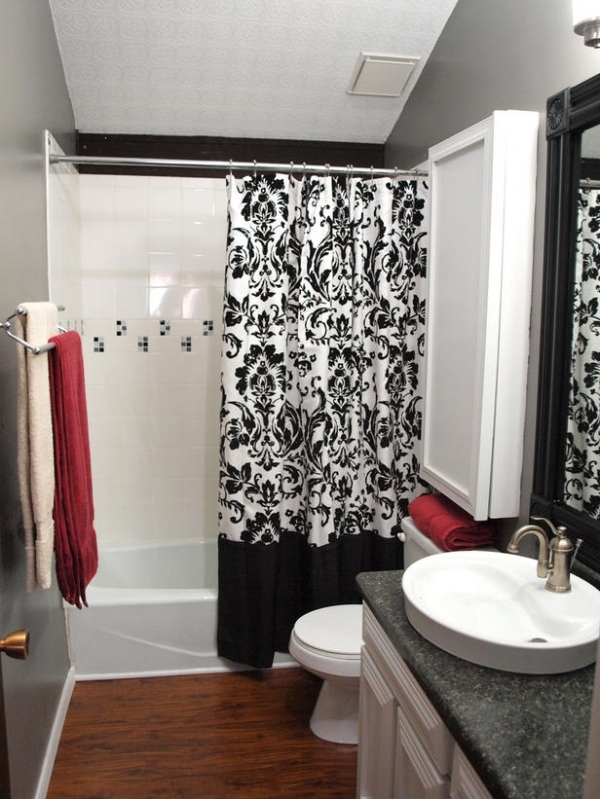 You can economically spice up your bathroom by painting the walls, adding patterned decor, or adding pops of color. 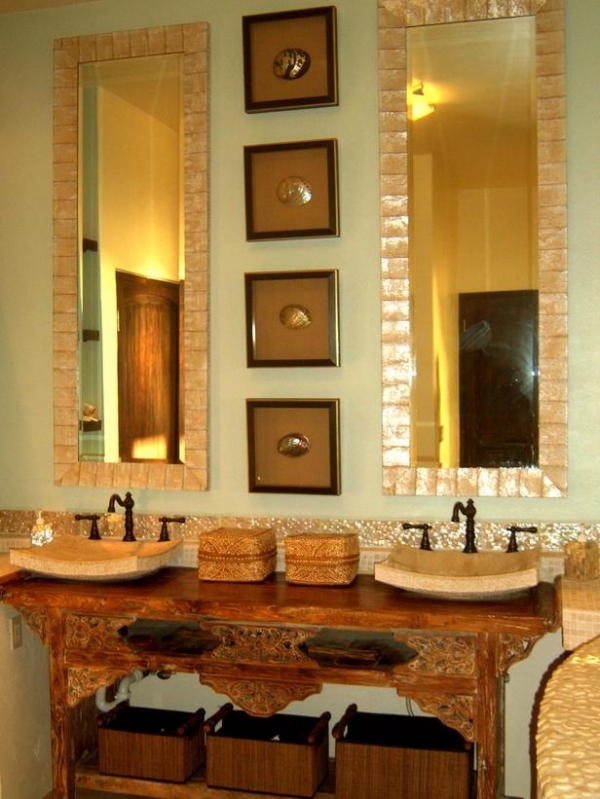 These three quick design ideas will add a unique and lively quality to your bathroom design. 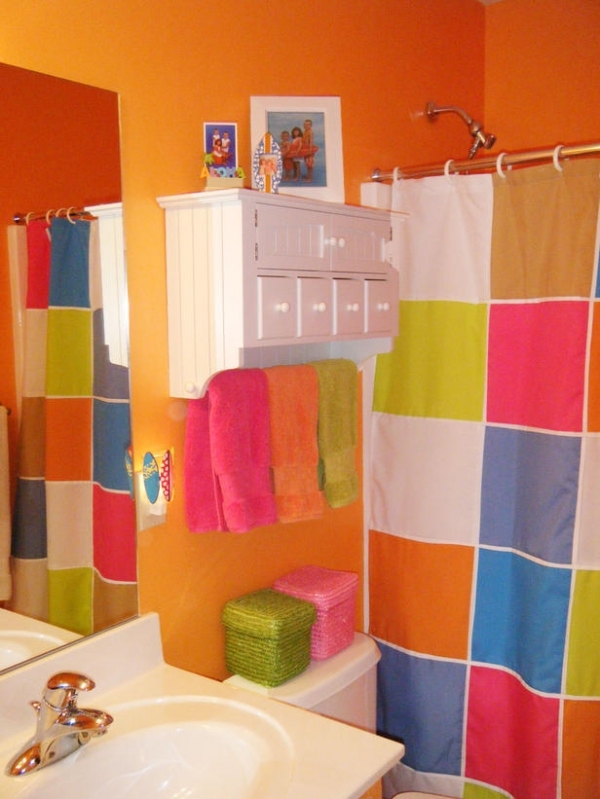 Colorful bathrooms can be created by painting accent walls or painting the entire bathroom. 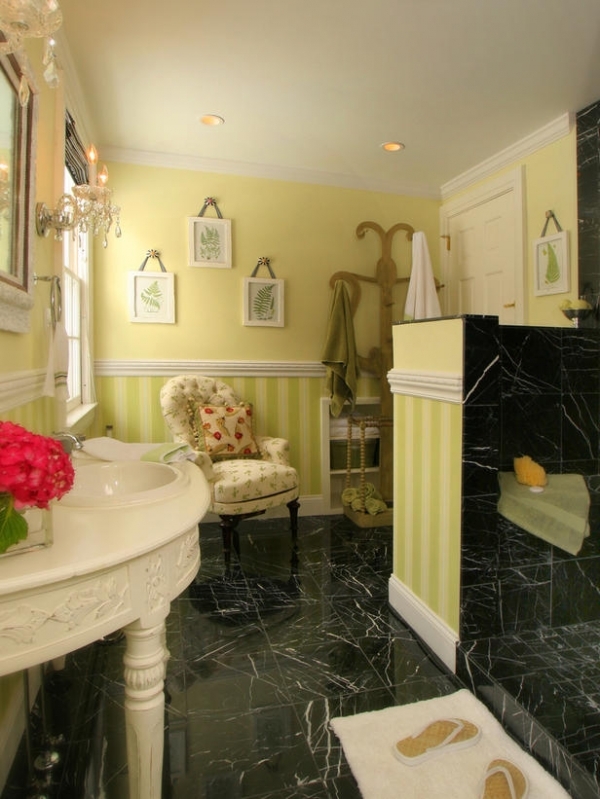 This bathroom uses yellow-green as a background, creating a soothing atmosphere. 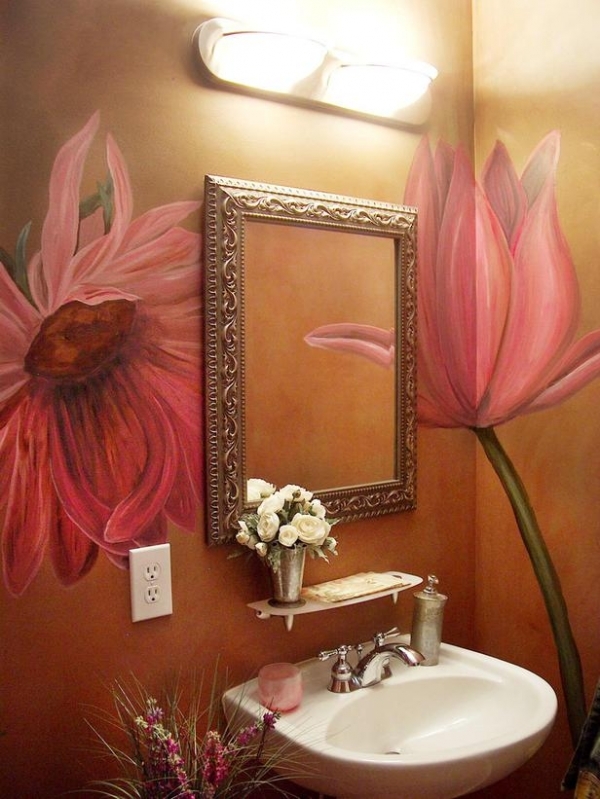 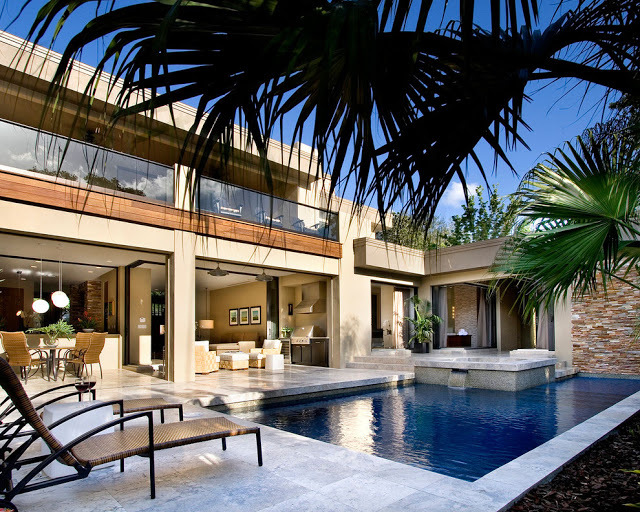 Colored walls can be easily changed. 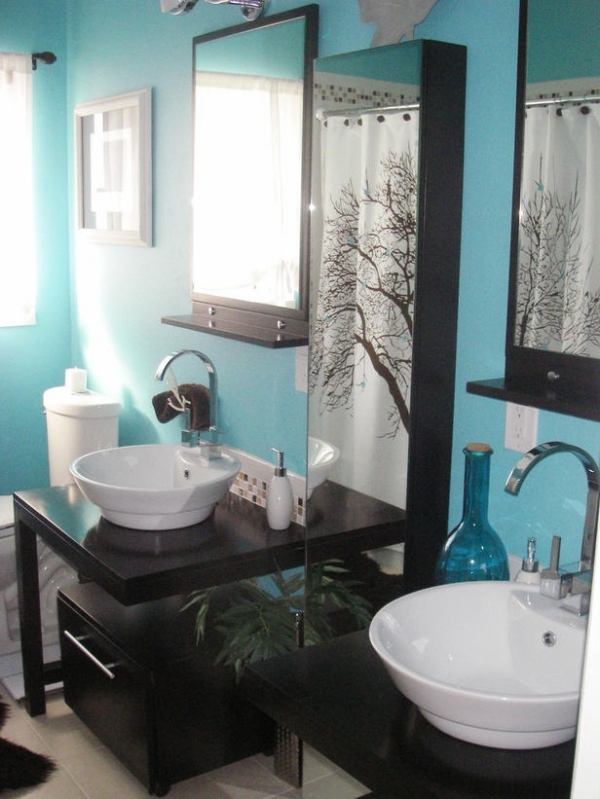 If you decide to switch up the decor, you can paint the walls again, or add different accent colors, creating an entirely different dynamic. 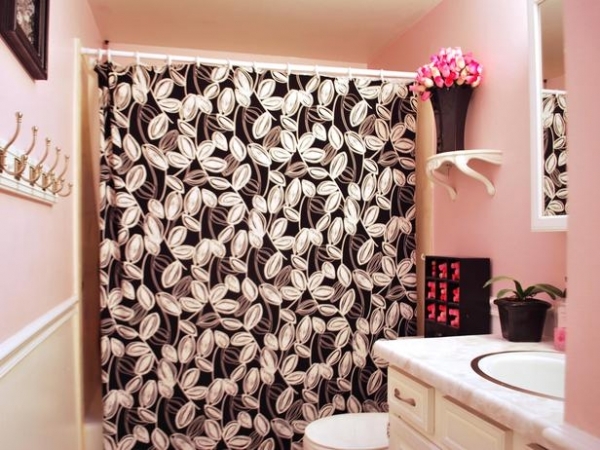 Patterned decor can also make your bathroom colorful. 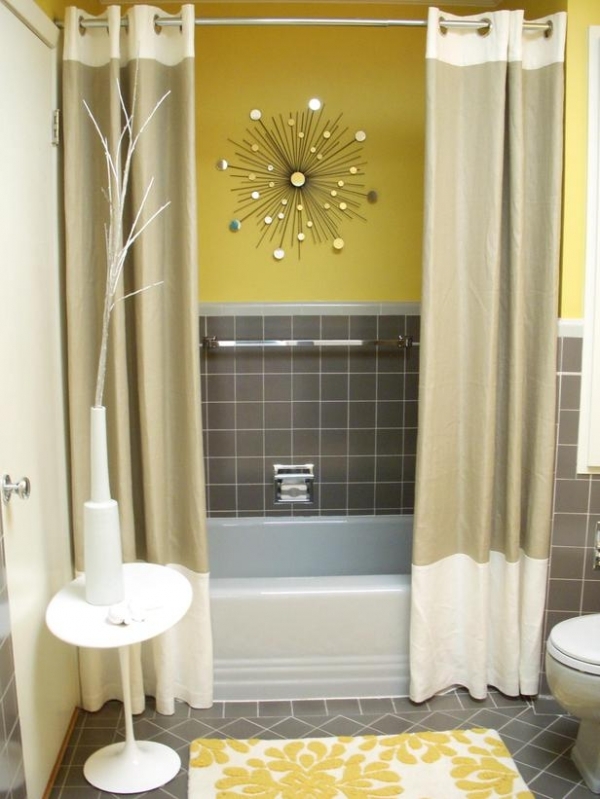 You can add a patterned shower curtain or window curtain. 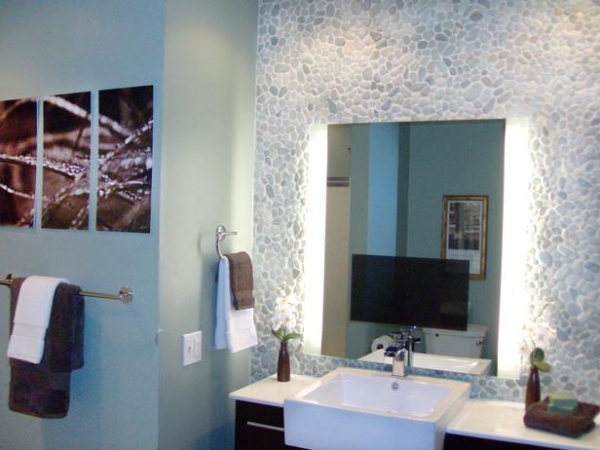 You can also add patterned wallpaper, effectively creating a feature wall in your space. 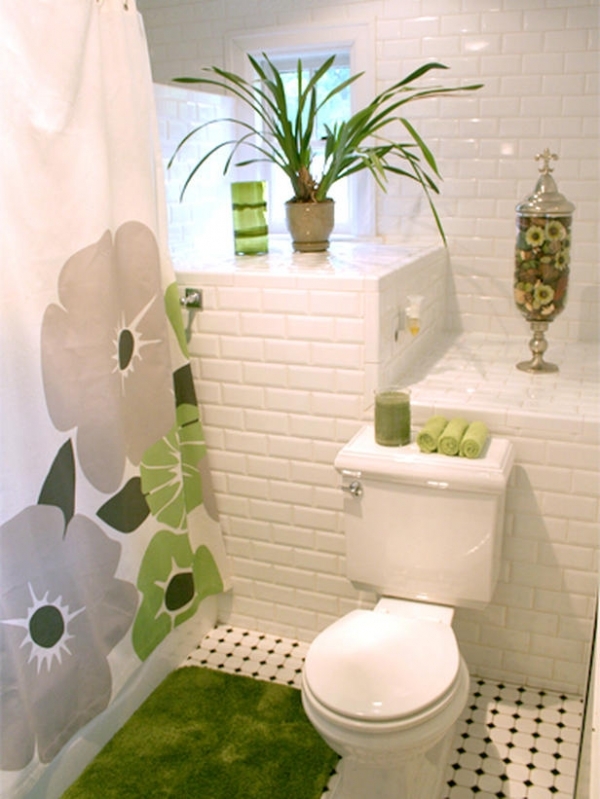 Patterned rugs, vases, and soap dishes, can all be used to make colorful bathrooms. 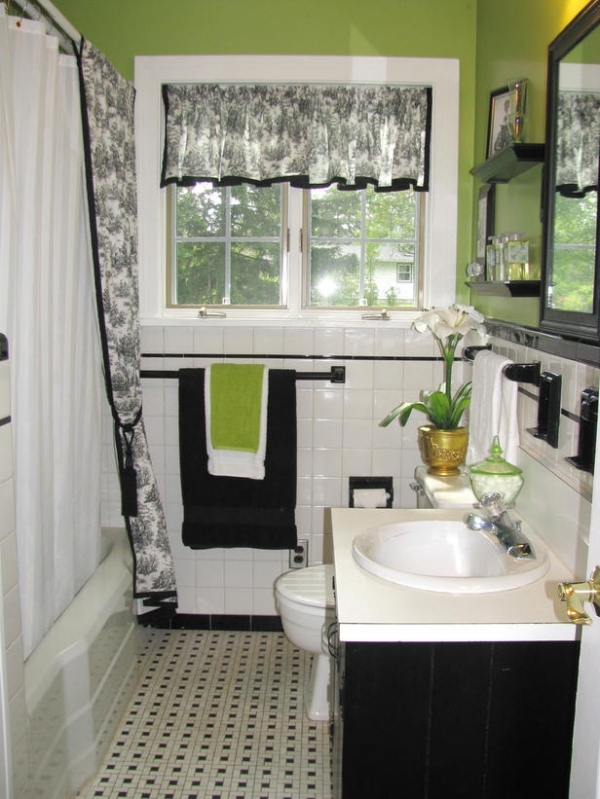 Multiple complementary patterns can be used to bring a collection of colors to your design, fashioning a lively atmosphere. 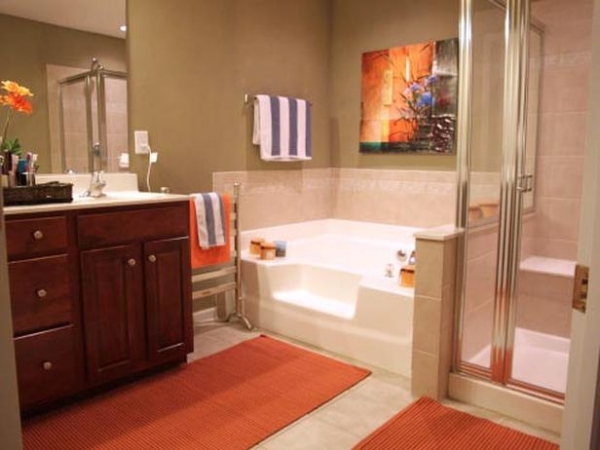 Your bathroom could need an update, the current design could be boring, or maybe you want the tropics in your bathroom, whatever the case, a little elbow grease and creative thinking is all it takes. 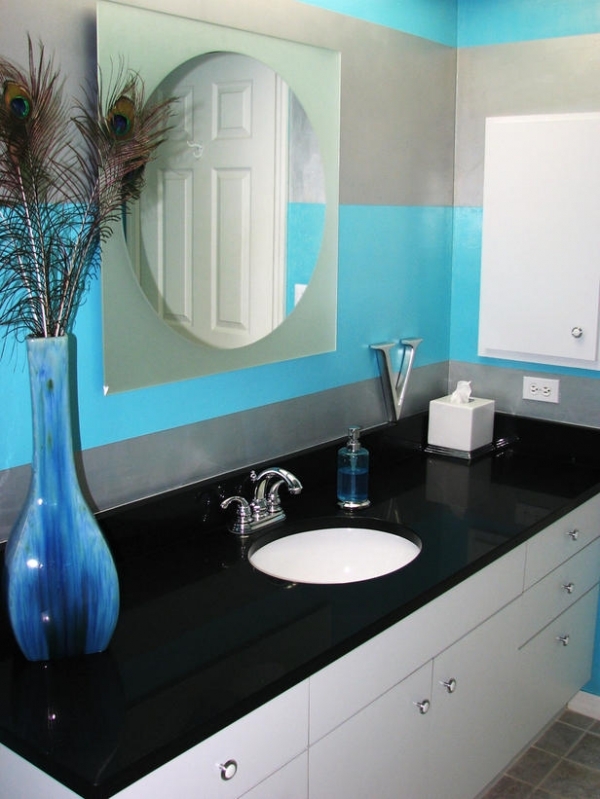 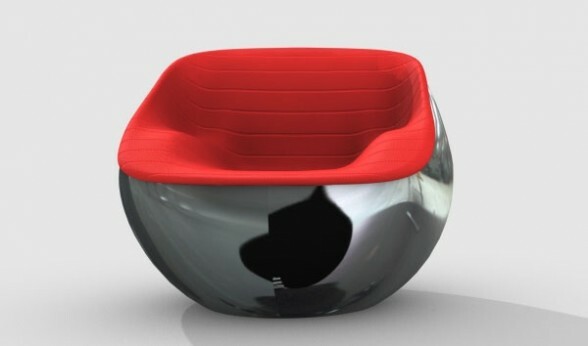 Pops of color against solid backgrounds add instant interest to the space. 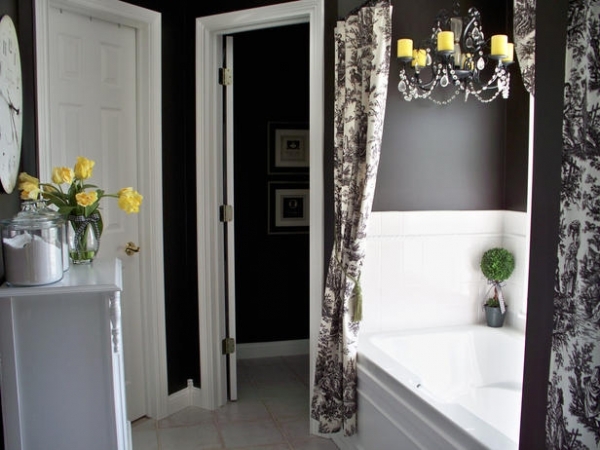 This wonderful bathroom has yellow flowers and candles against black and white. 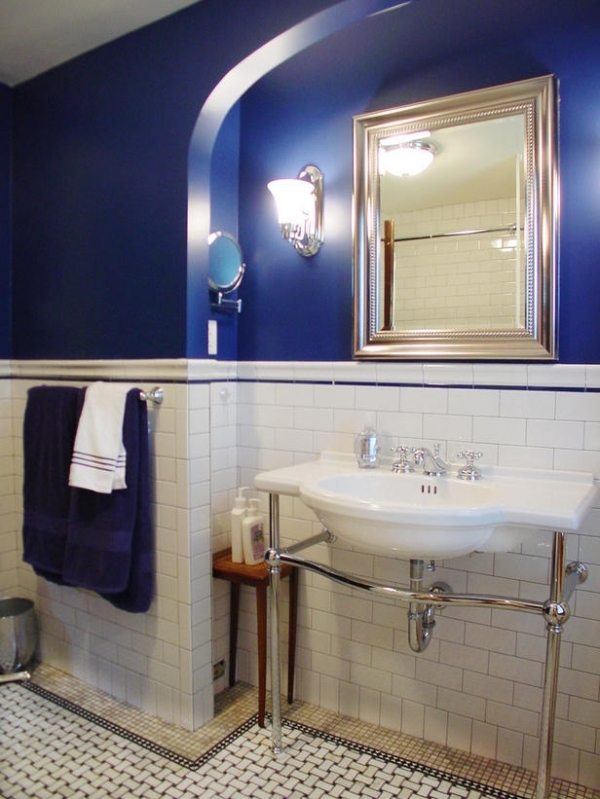 A deep blue brings this room to life, providing a gorgeous contrast to the white.